I'm Back with a second Great Britain themed project. I had so much fun making my London Calling project, I kept on going. 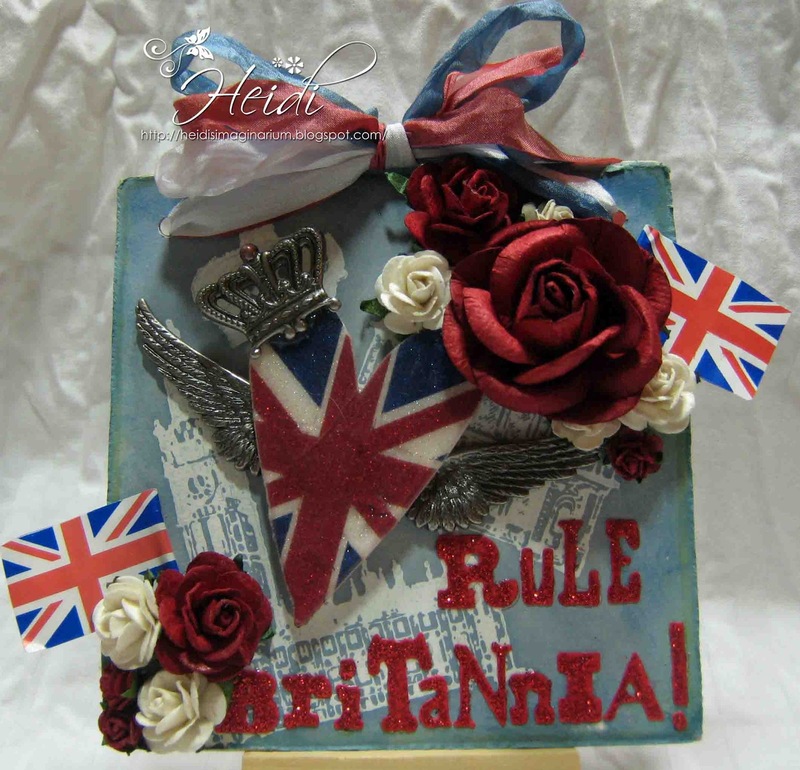 I used the Penny Black Houses of Parliment stamp and added the title of the song Rule, Britannia! I love the little Union Jack tooth pick flags I found online. I probably should have made my roses using grunge paper, but I don't like using it because it gives me a headache. I am in the process of airing it out to reduce the smell. Hopefully, I will be able to use it more frequently! This is my second entry for the Inspiration Emporium "Put a Heart on It" Challenge. I love reading your comments ....especially if you have any tips on treating the smell of grunge paper!